2. 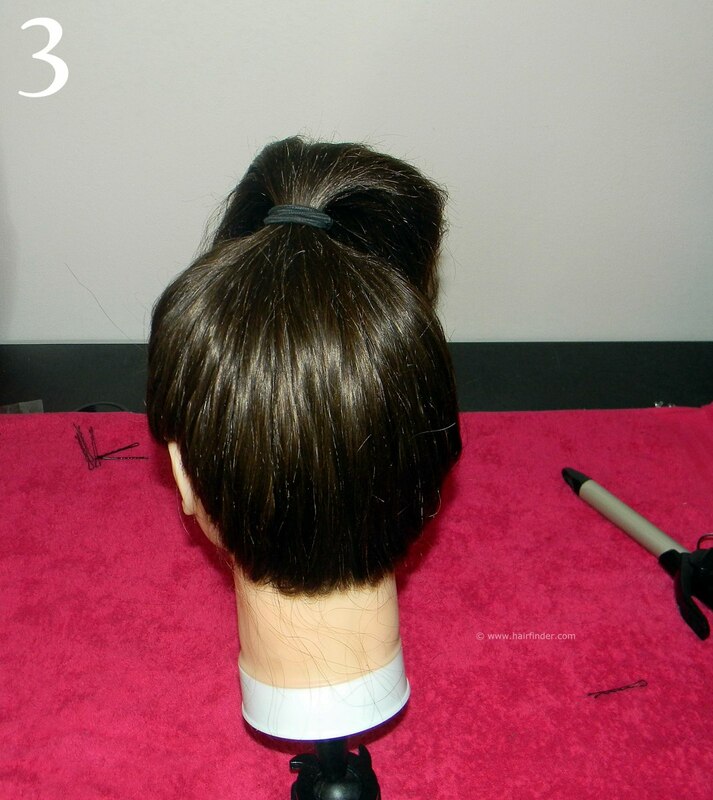 Comb the hair to the top of the head with a brush, and secure the hair in a ponytail. Comb the hair as neat as possible before tying the hair up. 3. The hair at the back of the head will be the most difficult to get as neat as possible, as this is where the bulk of the volume is. Comb and spray with hairspray until you get it as neat as possible, as the neatness of the base is an essential contributing factor to the outcome of your hairstyle. 4. 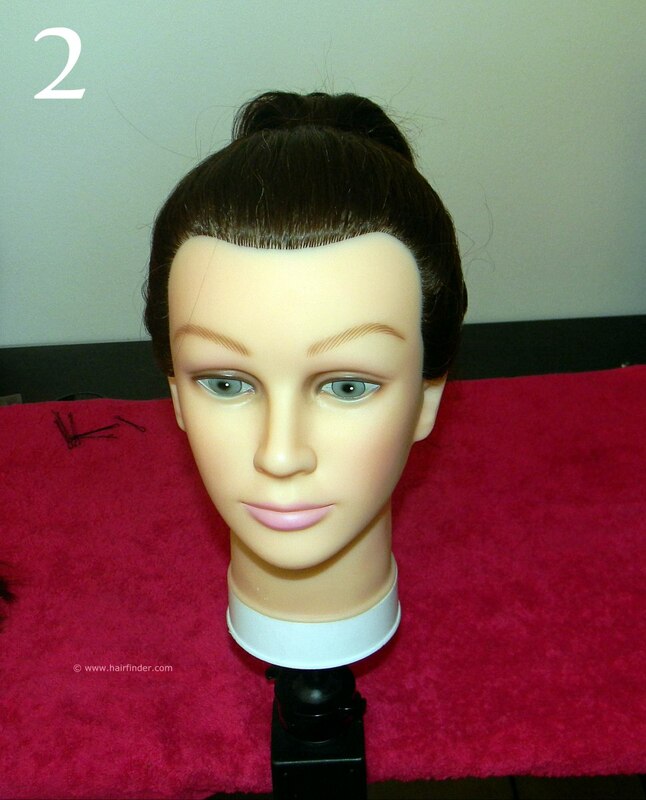 Twist the length of the ponytail and wrap it around the base (hairband) in a circular-motion. 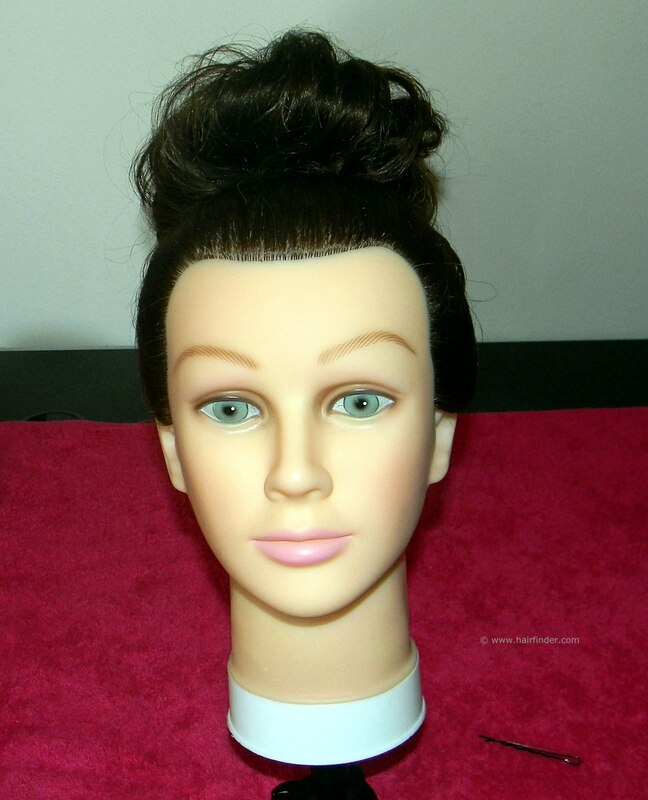 Secure the end of the tail with bobby-pins, inserted in the fold between the bun and the scalp. 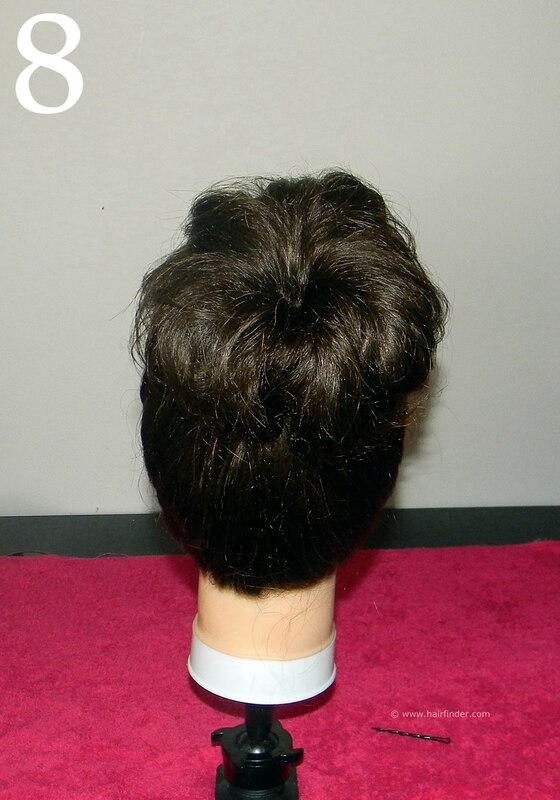 The pins must be inserted in such a manner that it cannot be seen, but still keeps the bun secure and tight. For dark hair use black pins and for blonde hair you should use gold pins. 5. Gently start pulling the bun with the tips of your fingers or nails. The goal of this is to widen the bun, creating a bigger and messier effect. Take your time with this, making sure that you don’t pull out too much. If you do this with too much force or try and do it too quickly, the whole bun will fall apart. 6. 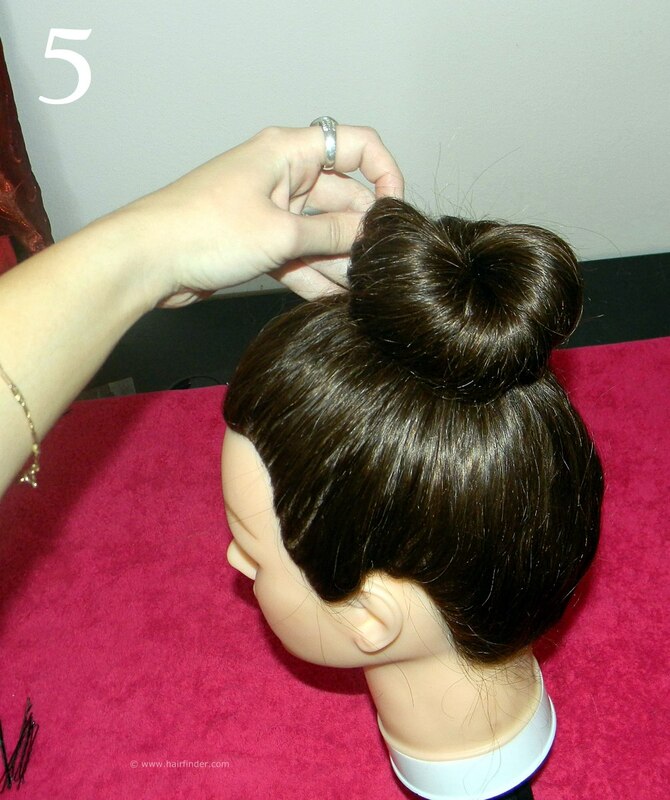 Begin at one place of the bun and work your way around until the whole bun is widened and bigger. 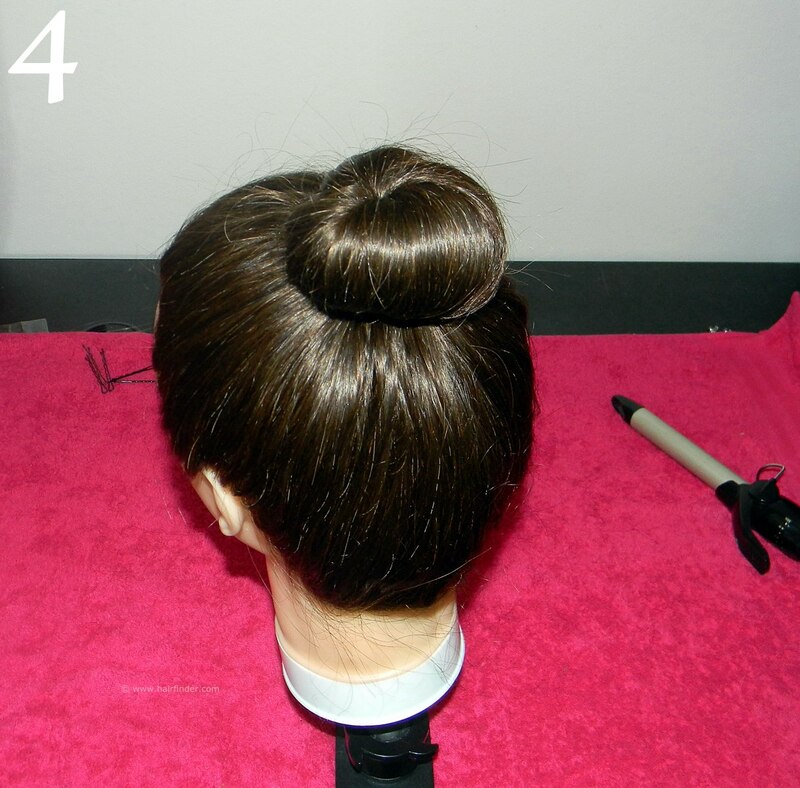 Keep your hairspray at hand to spray the bun while widening it, as this stabilizes the structure of the style to an extent and preserves the form of the bun. 7. 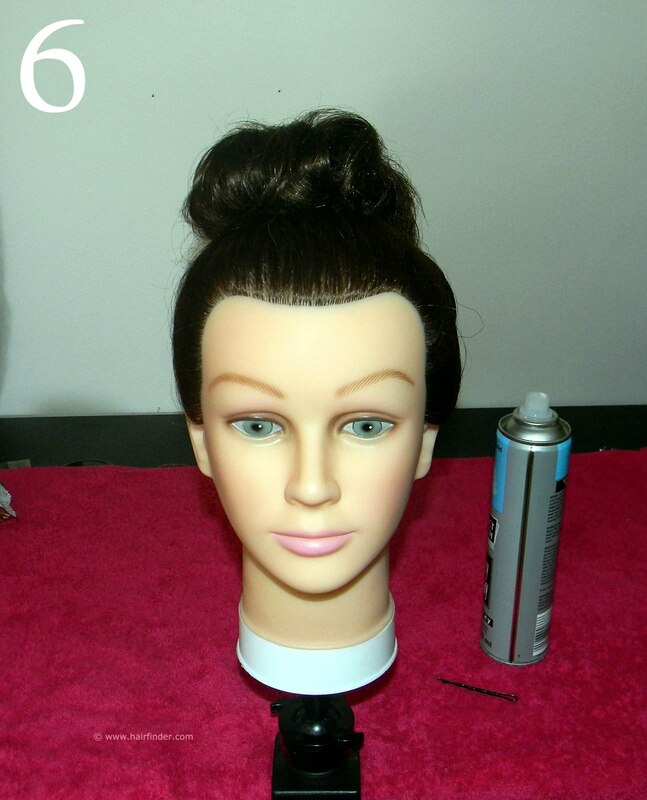 When you’ve completed the widening of the bun, spray the whole head with hairspray, while flattening and smoothing any stray or loose hair. 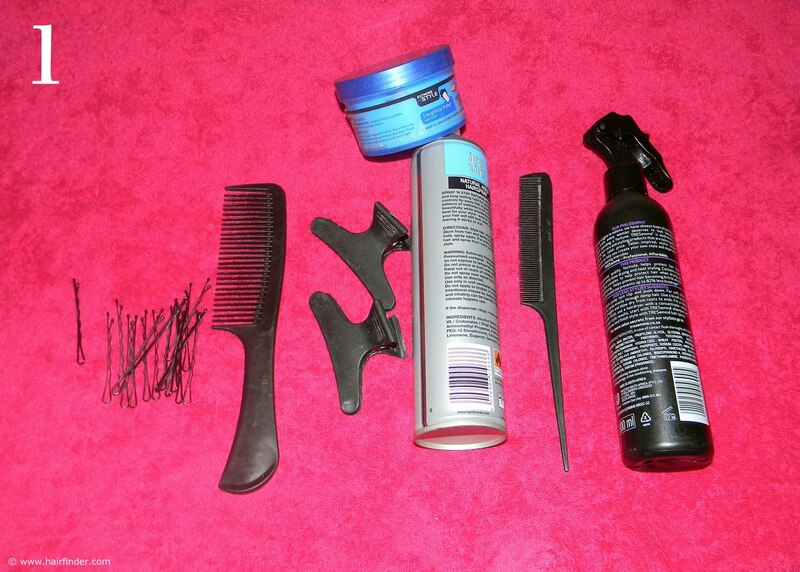 You can use the back-end of your tease-comb to neaten the whole style. Just take care not to over-do it, as you don’t want to ruin the style. 8. 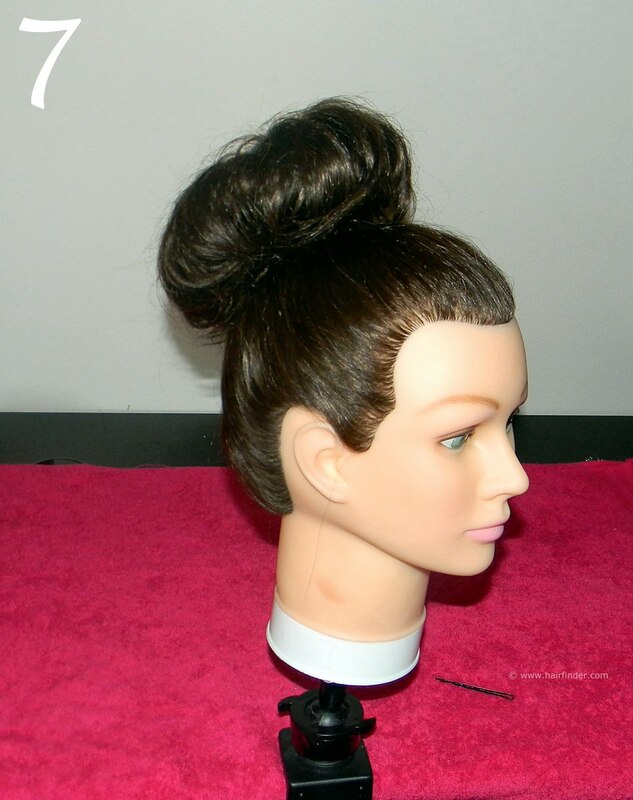 Note how the bun sits literally on top of the head, creating a sense of height. Also note that the base of this style is neat, while the actual bun-section is messy. Use enough hairspray and bobby-pins to keep this style in place and secured. Finish off with a silicone-based gloss hairspray.